Home > Entertainment and Lifestyle > Markdown Madness Sale Alert! Day 1 Starts today, March 1, 2010 and will run up to Thursday, March 4, 2010! Sale is always good. How was your trip to Cebu? 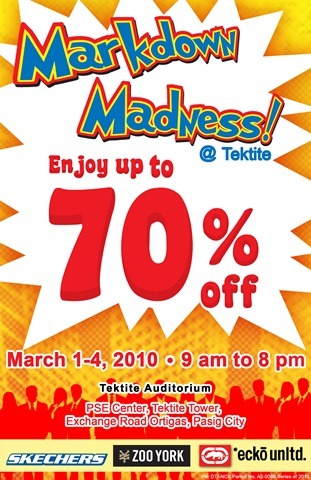 hi.. do you know when is the next markdown madness in manila. probably in 2011… share it with me… thanks alot.. send me a mssage..